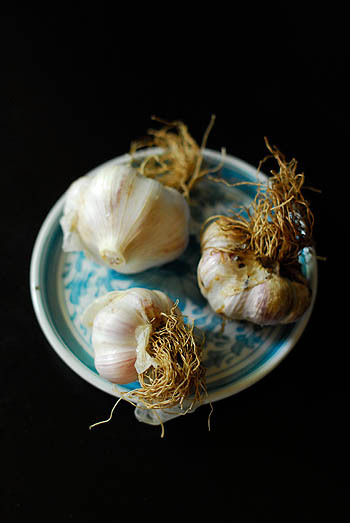 Good friends offer you beautiful garlic harvested from their garden (above). They also look after your place when you’re away. We’re lucky to have such friends. We’re taking off for a bit, heading south and east to follow the Rio Grande to the Gulf of Mexico. This is part of Jerry’s new project to document this river and its many troubles. If you happen to be in Seattle between August and October, you can catch an initial glimpse of the project at the Photo Center NW Annual Photo Competition Exhibition. So we’re packing the tent, our little portable stove (lots of fire restrictions this summer), loads of sausages & beans, and plenty of other appropriate camp rations. We plan to be back (with a whole new stash of stories and images) for a week or so before we’re off on our next big adventure, next month. Stay tuned. Wow. That stung a bit. Lucky you! What a wonderful journey. Can’t wait to see the results. Good luck in your trip and will be awaiting for the photos. Chek my place if you run off of ideas for sausages! I hadn’t checked in for awhile. Hope you are having a great trip and your new webpage looks beautiful. Great job. Thanks, all. And apologies for such a delay. The site is up and running again… just as I’m tackling one helluva mind-blowing project for the next three weeks. Can’t reveal details now, but stories will come soon.